We designed this kitchen for a bungalow in Wilmington’s historic downtown. 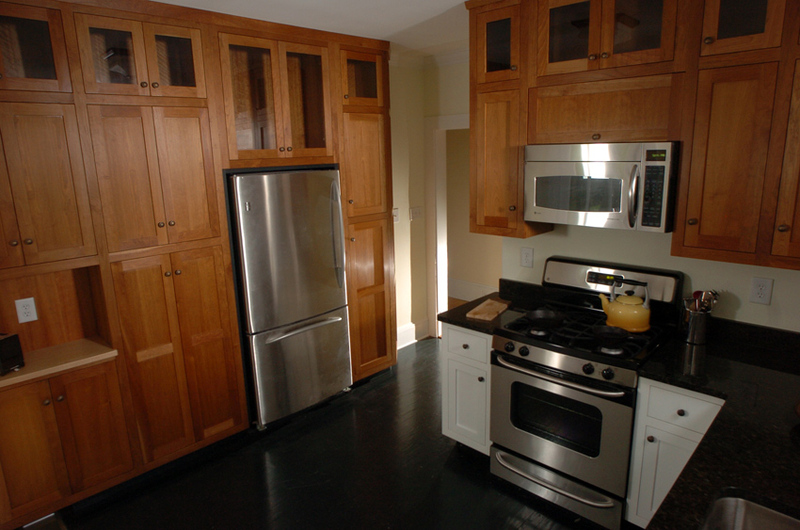 We used face frame cabinets, inset shaker style doors and slab drawer fronts. We had fun with the custom cabinets in this kitchen by switching between a stained cherry finish and a painted white finish to give the appearance that the kitchen had evolved overtime. 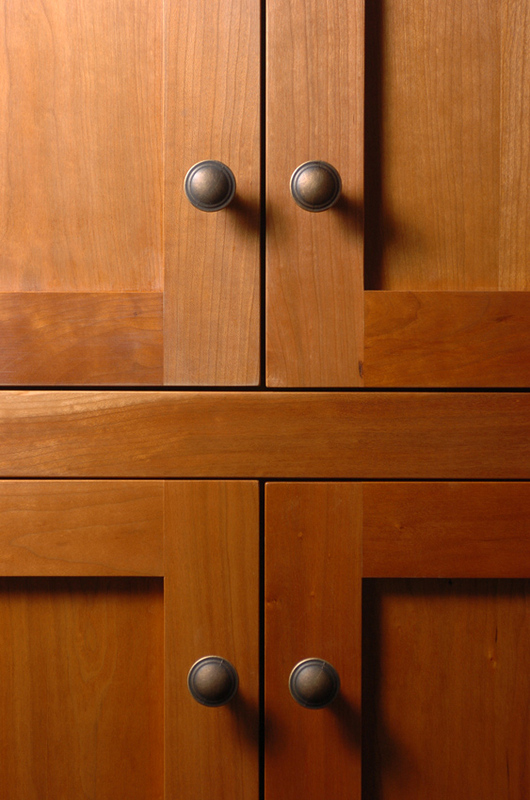 We also added glass cabinet doors for decorative items and visual interest. 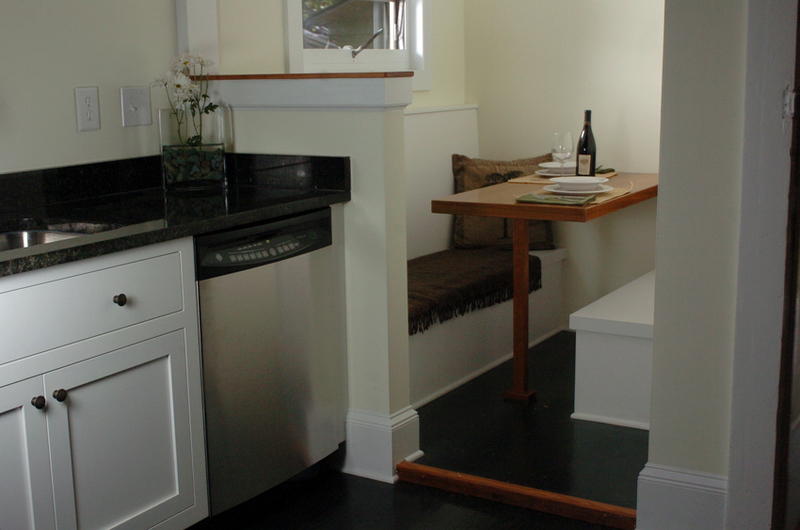 The cozy, custom eating nook is painted white to match the custom cabinets.